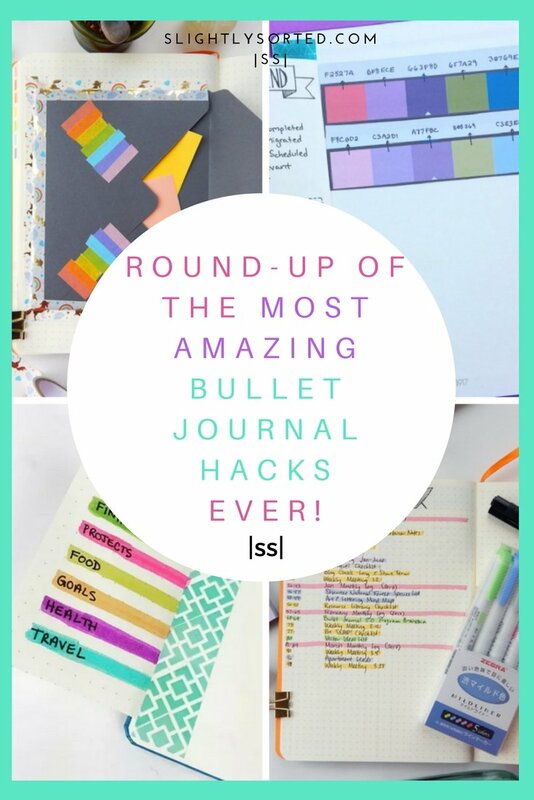 Bullet Journal Hacks – 14 Genius Ideas To Steal! 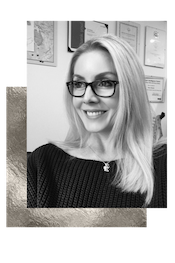 It’s no secret that I love my bullet journal – If you’ve not started one yet, I highly recommend doing so! 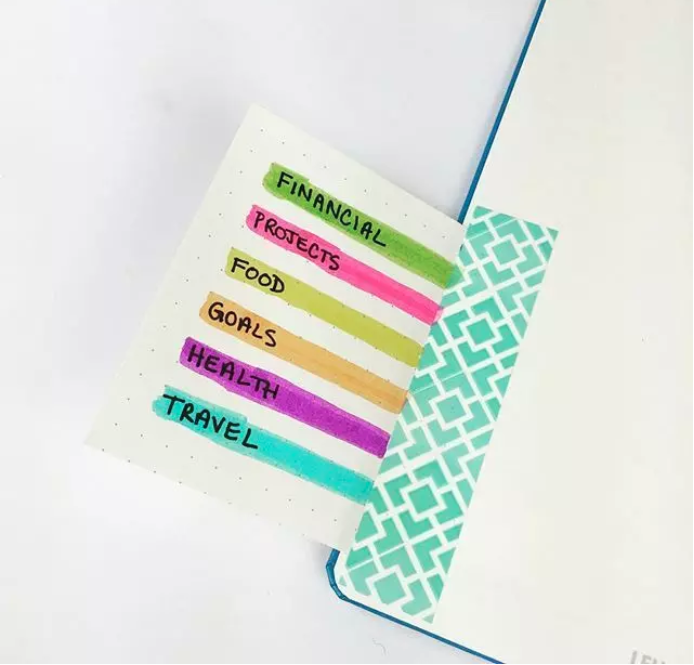 Even if you think bullet journaling isn’t for you, you might be surprised if you give it a go – trust me, keeping a bullet journal is very addictive once you get going! Once you’ve mastered the basics, you’ll want to start looking round for creative ways to customise your bullet journal and make it your own. 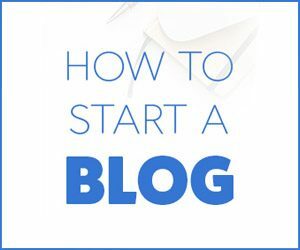 Fortunately, there’s a wealth of helpful ideas out there once you start looking (a good place to start would be with my favourite bullet journal bloggers). If you’re short on the time (or energy!) to search for yourself though, fret not, because I’ve done the legwork for you! Without further ado, here’s my round-up of the most useful and creative bullet journal hacks I’ve found… happy bullet journaling! 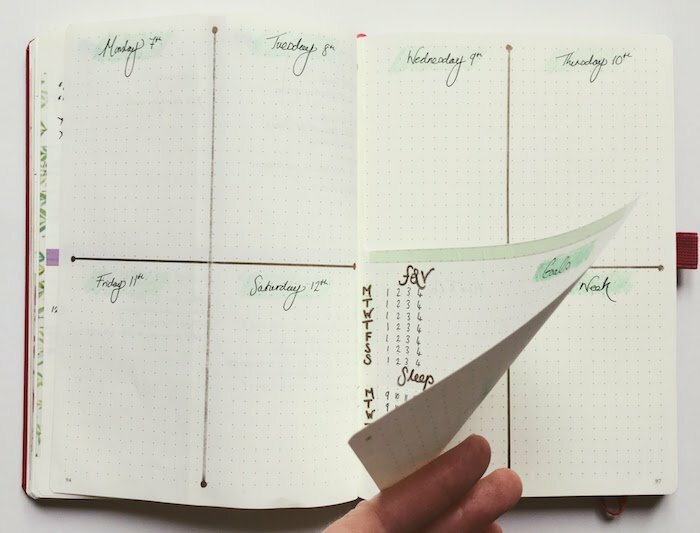 Dutch doors are a great bullet journal hack to give you more space on your weekly spreads. 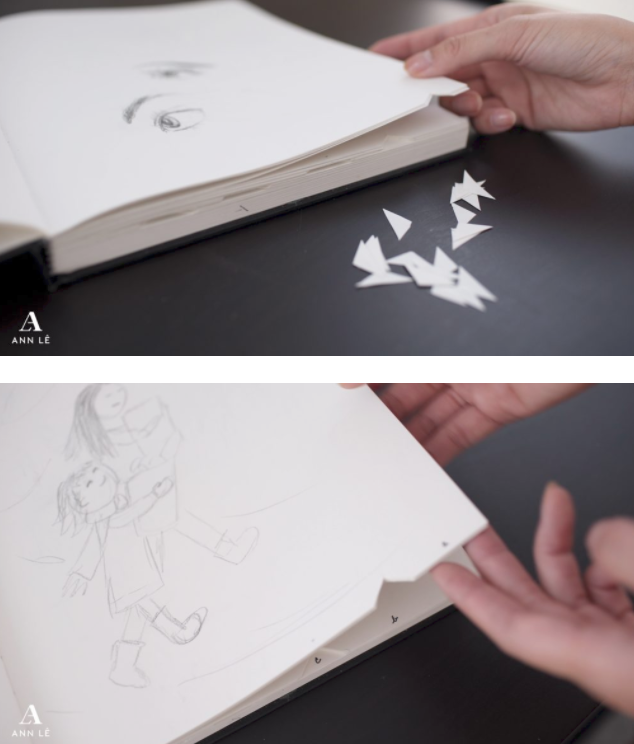 They’re incredibly simple to create, you just cut a page in half and use that in between the two main pages of your weekly spread. You can see how I’ve used them in my own bullet journal below. 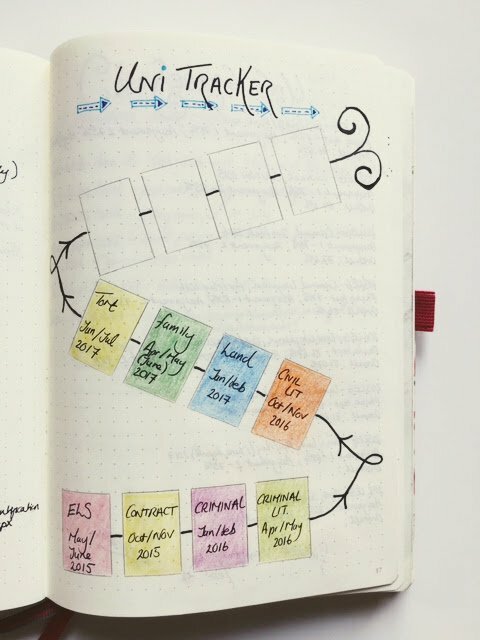 The dutch door creates extra space on the weekly spread for trackers (fruit and veg, and sleep), goals, and an area for notes and a shopping list. By the way, if you’re not familiar with trackers yet, they’re just a way to monitor your daily goals/habits. On this example I have a tracker for fruit and veg, on which I highlight (or cross off) a number every time I eat a portion, aiming for four a day (that may not seem very ambitious, but it’s a start!). Then there’s one for sleep, where the hours from 9pm – 7am are written out for each day, and I highlight the hours slept. As you can see, I particularly like using trackers to try to get healthy! If you like to use your bullet journal for traditional journaling purposes as well as for planning, create space to write about your feelings and reflect on what’s going on in your life. 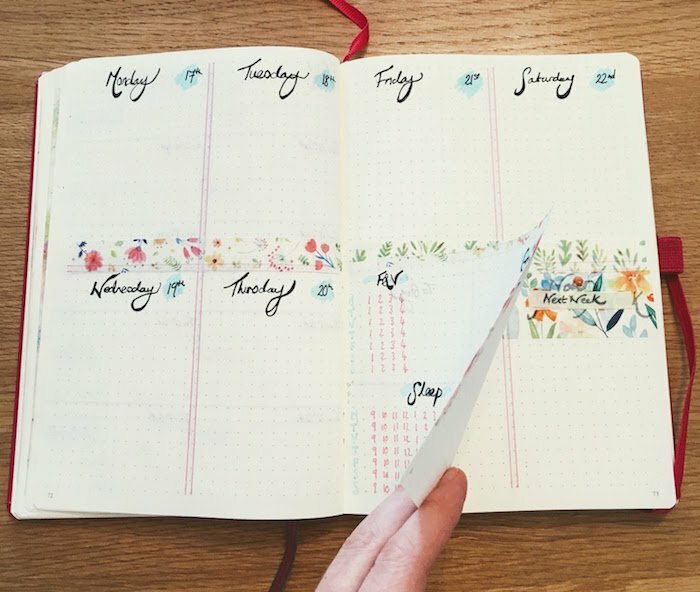 The example below shows how you can incorporate a journaling page into your weekly spread, and has the added bonus of keeping the content of the journal page private if you’re using your weekly spread when others are around. Just add an extra page in the middle of your weekly spread, fold it in half length ways, and fold it closed when you’ve finished your writing. You can then use the space on the other side for whatever you want – maybe weekly trackers and goals, or just notes. 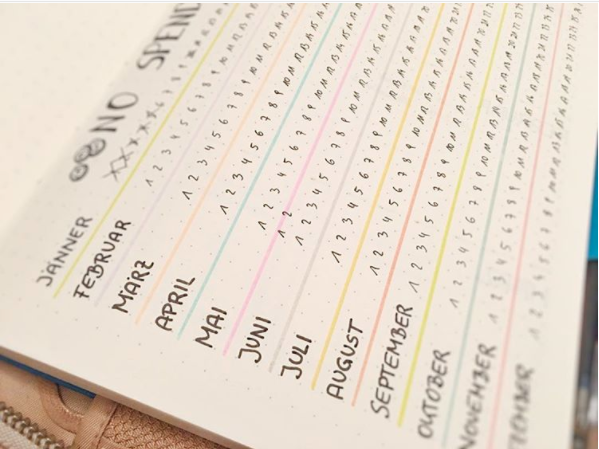 If you’ve resolved to keep a consistent habit over a long period of time (it can be a year, but it doesn’t have to be), then set out a tracker with all your months and dates on one page, like this one by modernmissjournaling on Instagram. Then you can cross out the day whenever you succeed with your habit. So for example, a simple goal might be to drink eight glasses of water a day. Well, every day that you manage to do that, you make a cross over that day. This is a great motivator because when you see all your success mounting up, you’ll be motivated to keep going! Keeping motivated with a long term goal can be tough! This hack is a little different to the last method, in that it’s more suited to cumulative goals that can be broken down into stages. Take a look at the example below, which represents the goal of achieving a law degree. There’s a simple box for each term, and when the term is complete, the box is filled in and coloured. This is an excellent way of reminding yourself how far you’ve come, and it’s great when you see yourself getting closer and closer to your goal. This method could work well for fitness goals – say your goal is to run five miles, then you could make boxes in half mile increments every time you manage to run a little further, up to the full distance. 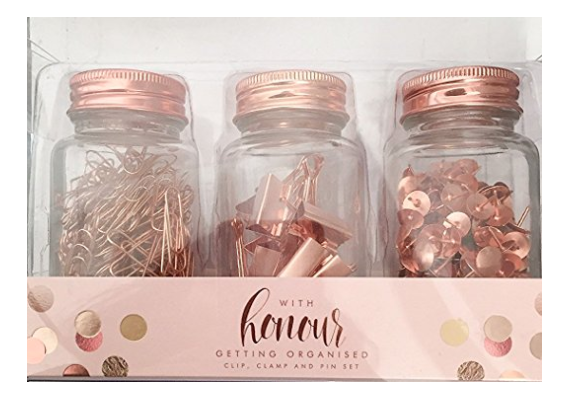 If you’re trying to save Â£1000, then draw up boxes to represent each Â£100. I love using this method, but have a slight word of caution too! Personally I’d recommend it for goals where you’re unlikely to take a step back. If you use it for something like losing weight, it could backfire as you’ll feel frustrated if you’ve coloured in one of your boxes but then put on a pound or two – totally not worth the stress! Oh my goodness, I love washi tape. 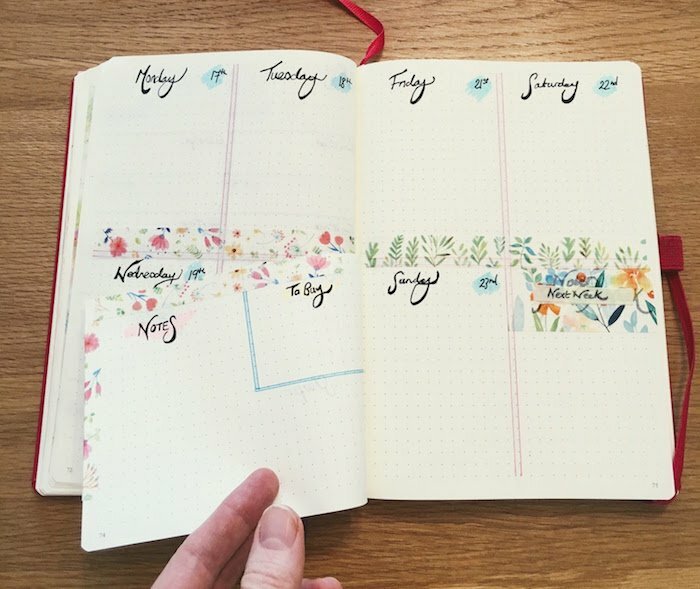 It has so many uses in bullet journaling and is a quick and easy way to create a unique look that’s customised just for you. 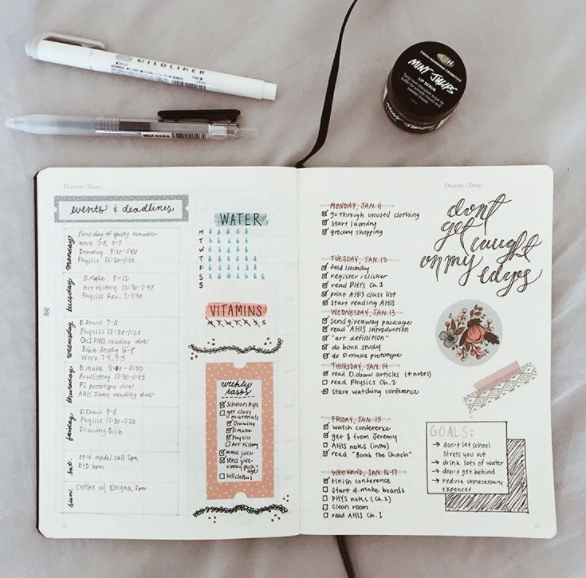 As well as making your bullet journal look pretty though, also use it to separate out different sections of pages – for example events, tasks, and goals, as shown here on jess_studies on Instagram. 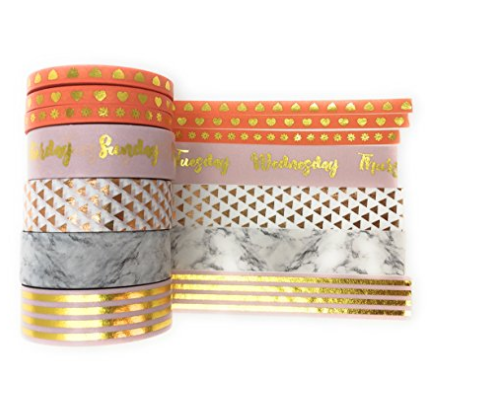 My favourite place to shop for washi tape is Amazon, as you can get your hands on an amazing selection at good prices. 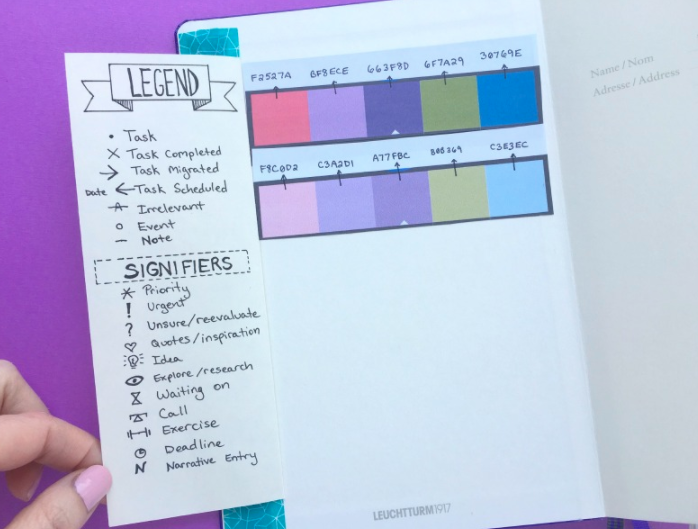 I first saw this idea on Buzzfeed, and its a simple yet brilliant way to make it easy to keep track of your categories or remember your signifiers (check out my beginner’s post on bullet journal spreads if you’re not sure what signifiers are yet!). The easiest way to create the flip-out is to use a cut out of decent quality paper and stick it in using washi tape or paper glue. I love these two examples from boho.berry on Instagram and pageflutter.com. 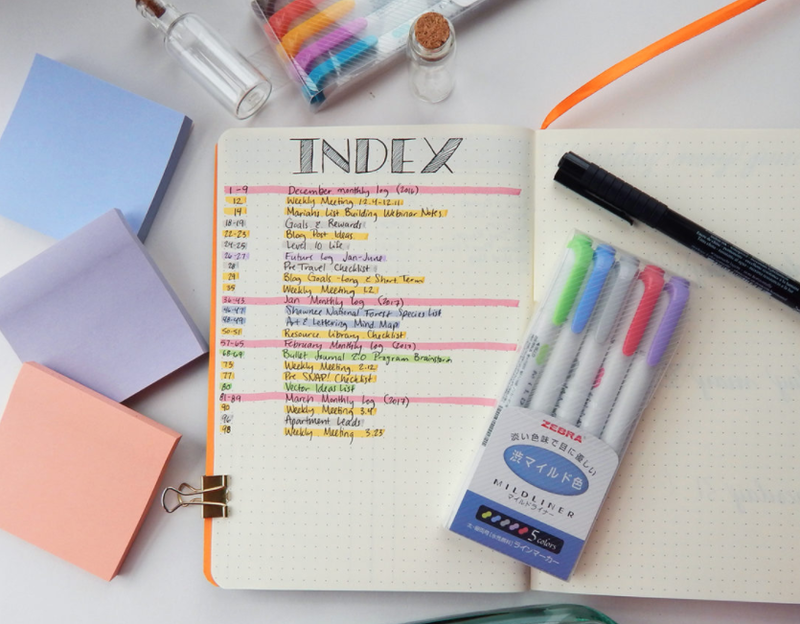 Zebra mildliners can be a very useful addition to your bullet journal supply kit. Not only can you use them to bring colour to your spreads and collections, you can also use them to colour code the pages in your bullet journal like Shelby at littlecoffeefox.com. In the example below she’s coloured a small square on the edge of her pages (right up to the edge so you can see it easily) to represent different categories. Writng out the days of the week over and over again for weekly spreads and habit trackers can be time-consuming, especially if you like your journal to look pretty and artistic. 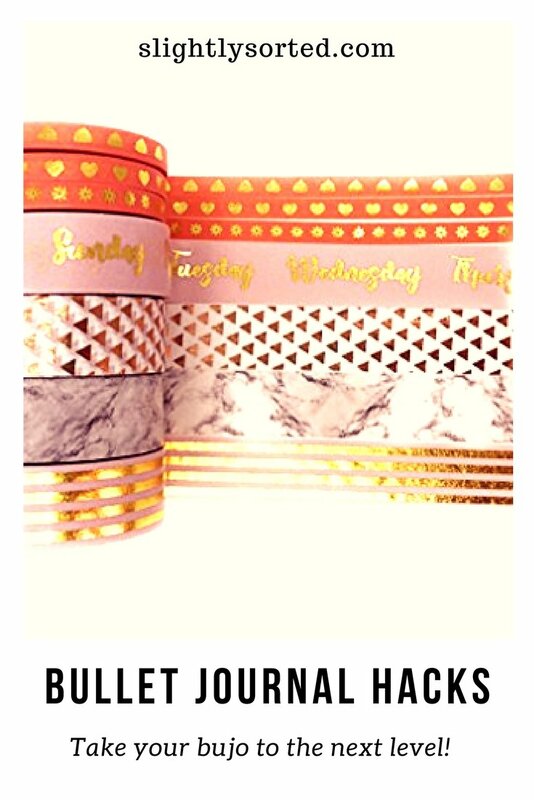 If you’re often in a rush, invest in some genius ‘days of the week’ washi tape! This way you can just stick it on and quickly create corresponding columns etc. There are several variations on Amazon, so have a look round to see what’s going to suit you best (just remember to check on delivery times, as quite a few are from international sellers). Stamps can also be a fantastic time-saver, or you can just use them to make your bullet journal look beautiful. 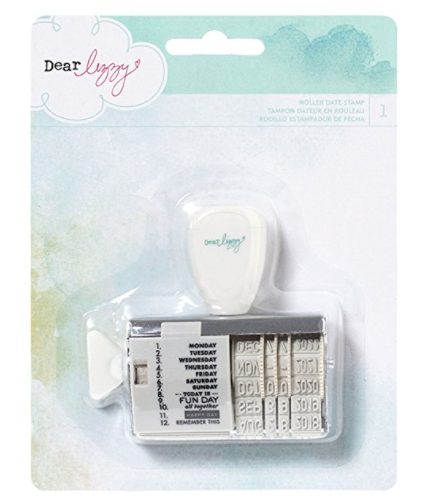 This pretty stamp by American Crafts is a nice sturdy option for date stamping. If you have pages or collections that you refer to on a regular basis, try making a little triangular cut at the bottom of the page so that you can flip to your destination quickly without having to check your index. 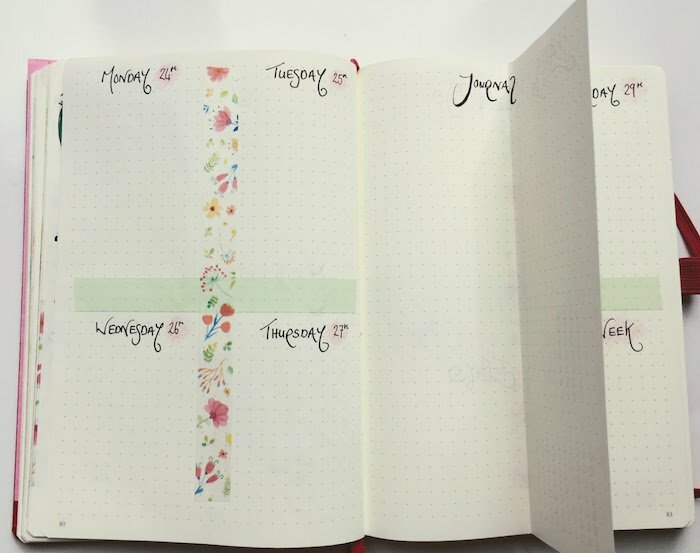 Ann Le on lifeannstyle.com uses this method to mark out the different sections in her bullet journal, which works brilliantly. Here’s another tip I first saw on littlecoffeefox.com. 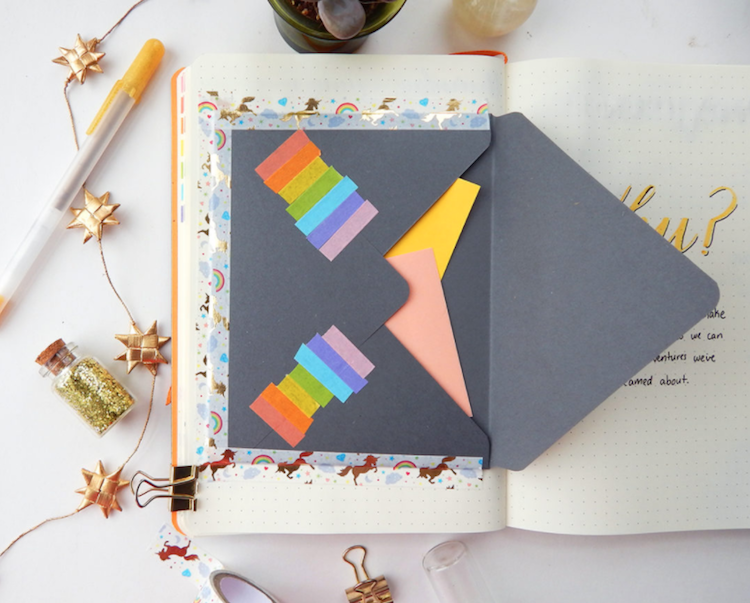 Grab yourself a regular old envelope (or indeed a gorgeously stylish envelope if you prefer), and tape it to an inside cover of your bullet journal, using your favourite washi tape. Now you have a simple pocket to store all your bits and bobs like tickets, magazine cuttings and coupons. An easy-peasy one, but extremely useful! 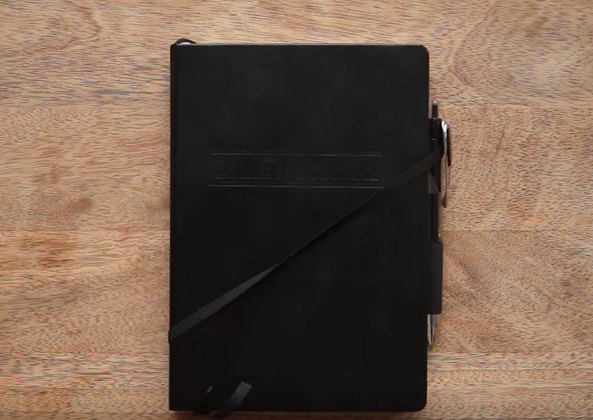 If you’re using a standard Leuchtturm journal, or something similar, just wrap the elastic band strap around the bottom left corner, and you’ve got an instant pen holder! I found this one on the original bullet journal YouTube channel. If you have a special page that you know you’ll want to access again and again, create a tab on the bottom corner with washi tape, so you can find it really easily. You can see in this example how Ann Le on lifeannstyle.com has used this method to mark out pages she’s created for makeup and nail colour references. It can be extremely annoying when your journal keeps closing on you when you’re trying to write in it. And that, I think, just about covers it! 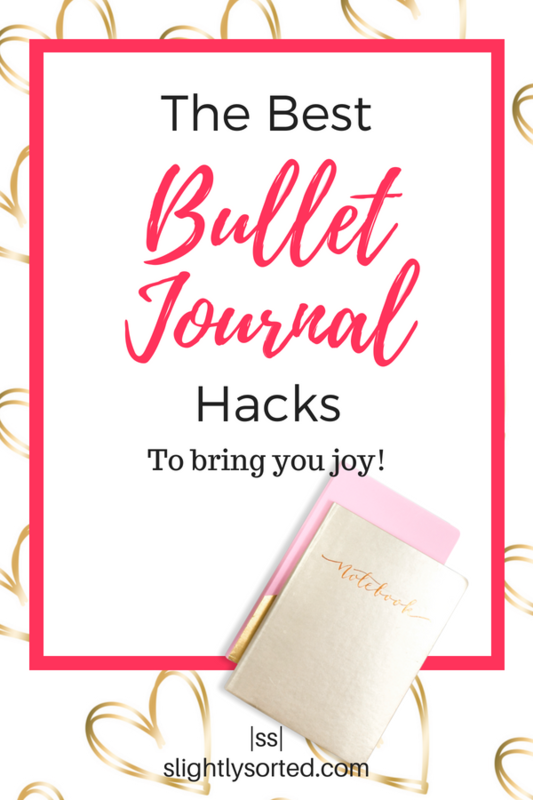 I love these bullet journal hacks for making my bullet journaling antics more beautiful and effective – I hope you do too! 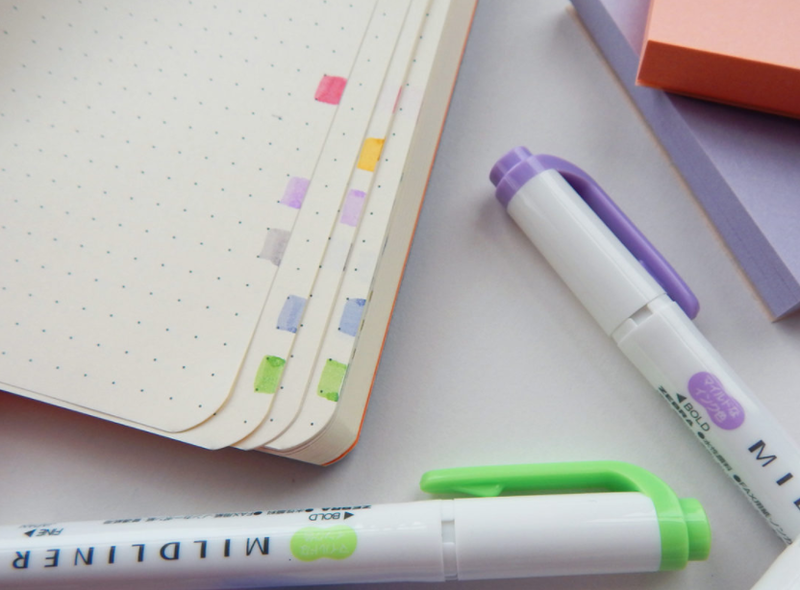 If you want to stock up your bullet journal supplies in general, you might want to check out some of my favourites here. 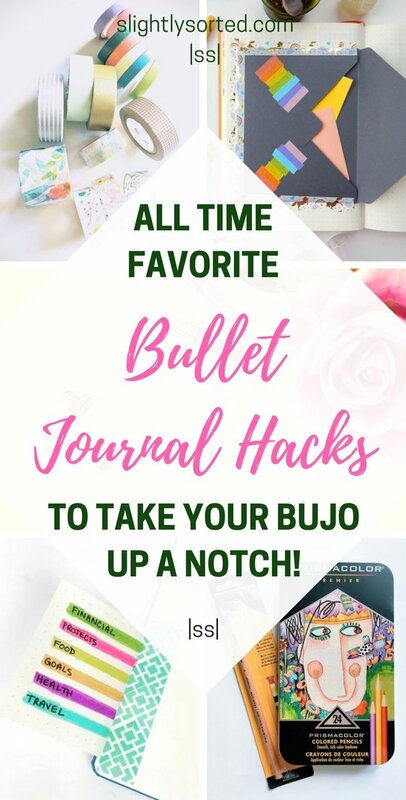 Let me know what you thought of these bullet journal hacks, have you tried any, or have some tips of your own to share? Laters! PS! You might also be interested in my huge list of bullet journal collection ideas, and favorite weekly spreads. 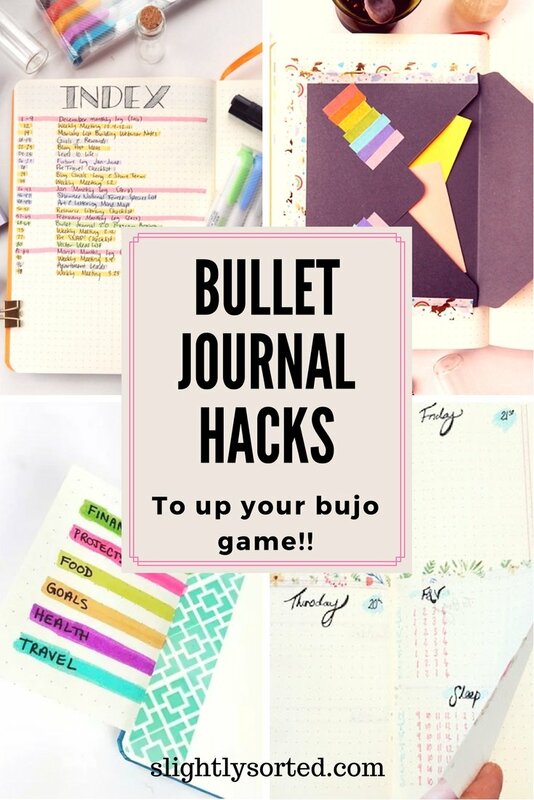 Enjoyed this post on bullet journal hacks?… Why not save it for later on Pinterest! Previous Post ‘Inspire Now’ Journal Review! Next Post DIY Spring Decor Ideas To Brighten Up Your Home! Love this ideas! I’m new to bullet journaling and never seem to be able to stay on top of it! Thank you! You’re very welcome Susan, I hope they help!